It’s been a little over two months since I began my journey working at MemberWhen, and I must say it has been an incredible two months. The team, the office, the vision, the mission, the passion, all of it comes together to be a great place to work. But what really got to me was the product. It can be difficult to explain the value of a MemberWhen audio story, especially to someone that hasn’t ever heard one before. So until I really dove in and listened to a few completed stories, I had no idea how powerful they were. I found myself so touched and even crying at times, listening to stories of people I didn’t even know. That’s impressive. Now it’s my job (literally) to make everyone else in the world aware of MemberWhen and the incredible ability we have to capture and record personal stories. Something I wasn’t expecting to happen was that about a month into my time working at MemberWhen, we were elbows deep into updating our website, improving our messaging, and using MemberWhen as a way to better connect with potential customers. 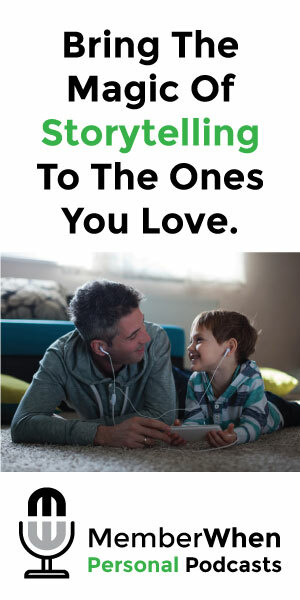 We decided that since we’re an audio company, we should be using audio to engage with online consumers. We quickly were rolling out audio testimonials, audio versions of “our process”, audio team bios, and an audio “about us”. It was such an easy and exciting project to use our product for ourselves, and very quickly we realized that there is a major benefit to using audio content across the website. 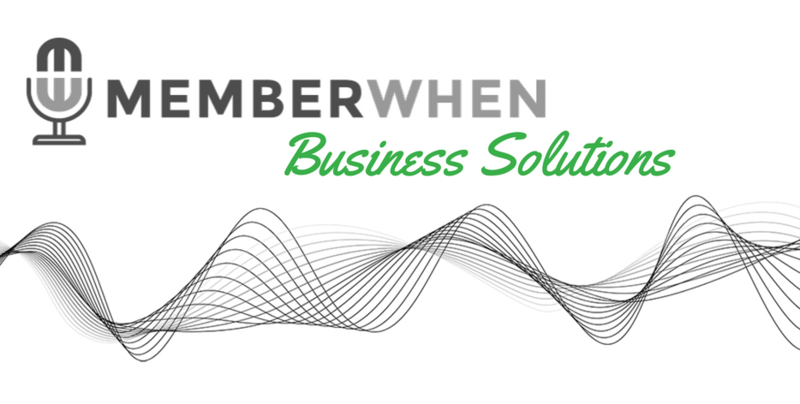 As a team, it then became a no brainer for us to start to package the idea of MemberWhen for businesses into what we now call MemberWhen Business Solutions. Some of the major benefits we identified early on were that audio increases brand engagement, adds personality, it’s authentic, it’s easy to implement, it’s much more cost effective compared to video, and it’s an additional form of media content that can be used for internal communications, social media, case studies, etc. All of which I plan to discuss in my next post – “The Benefits of Audio Content for Business”. Within a few short weeks we had interested parties ready to start using our business solutions. The completed products so far have been great and the clients have given great praise and gratitude. More than we ever anticipated. Similar to our personal MemberWhen audio stories, our customer feedback and testimonials have been quite powerful and a helpful driver for potential prospects. For a full breakdown of what we offer, visit our business solutions page of our website. All solutions so far have been tested and are showing higher engagement rates than written and traditional content.